Why Attend a Business Conference? Attending business conferences is a great way to network and learn new things. Several successful business people recommend attending at least three business conferences each year. I am on my way to (aff) Social Media Marketing Wold in San Diego this week (Follow the hashtag #SMMW18 for tweets and tidbits from the event) But there are numerous other conferences to choose from, including our own #BlogWellRetreats. However, sometimes finances, scheduling, or other issues, get in the way and prevent you from attending the conference of your choice. 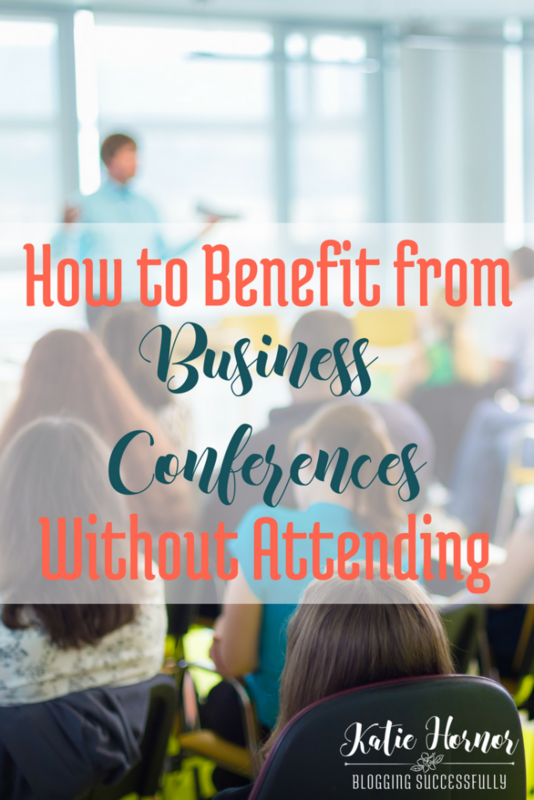 While it is better to attend conferences in person, there are still ways that you can benefit from a business conference even if you are unable to attend! Visit Leslie Truex's Work-At-Home Success to read the full post where I share 5 great ways to benefit from businesses conferences you do not attend. Join us!